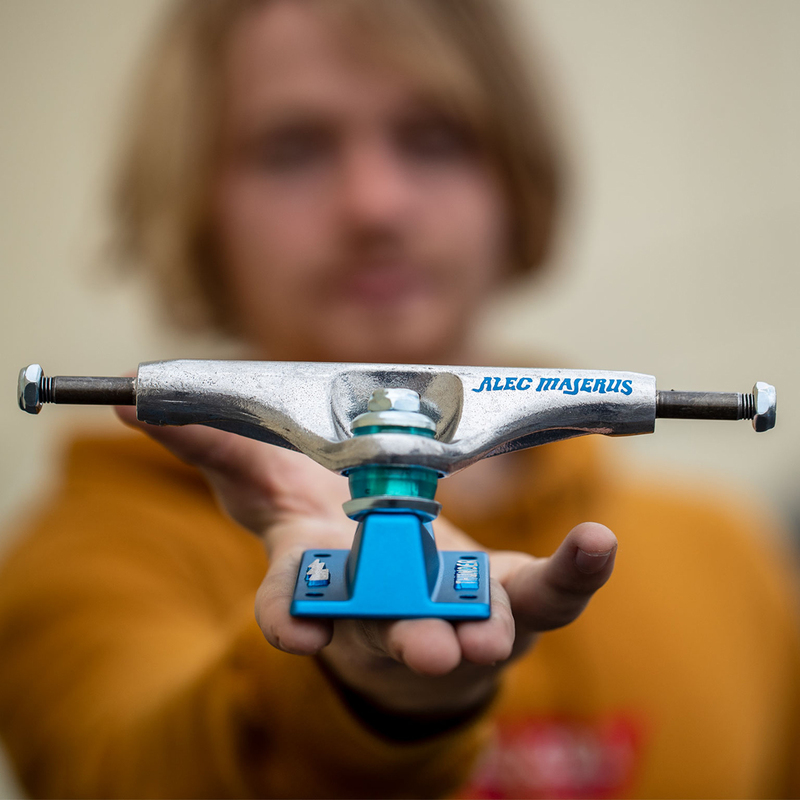 Alec Majerus dropped a heavy new clip for his Stamped Pro Edition 148 Lights with 8.25″ axles available at 3rd Lair and skate shops worldwide. 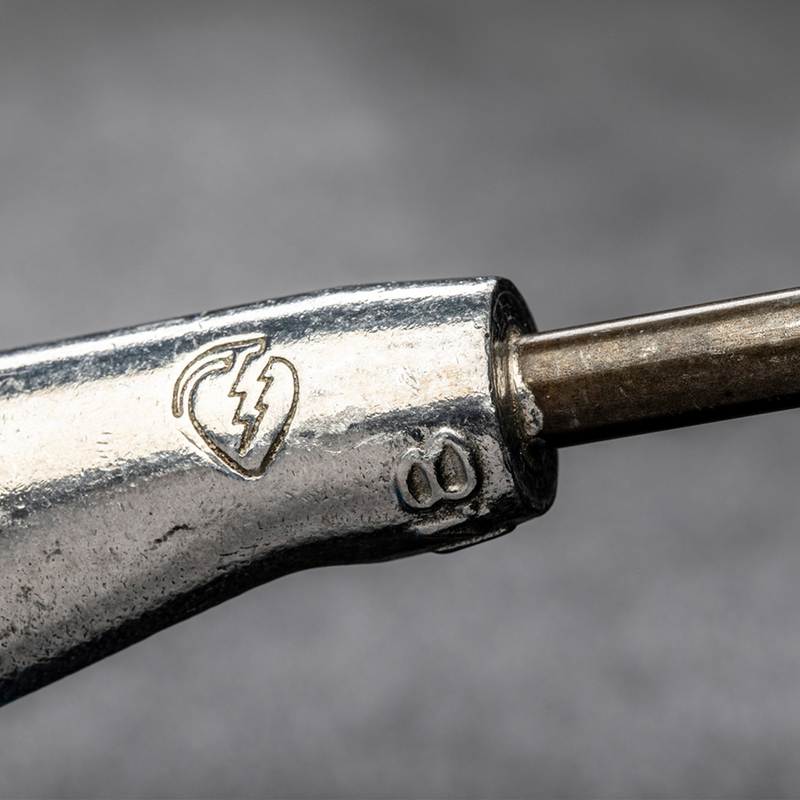 Featuring 8.25″ axles and custom stamped Thunder hangers. 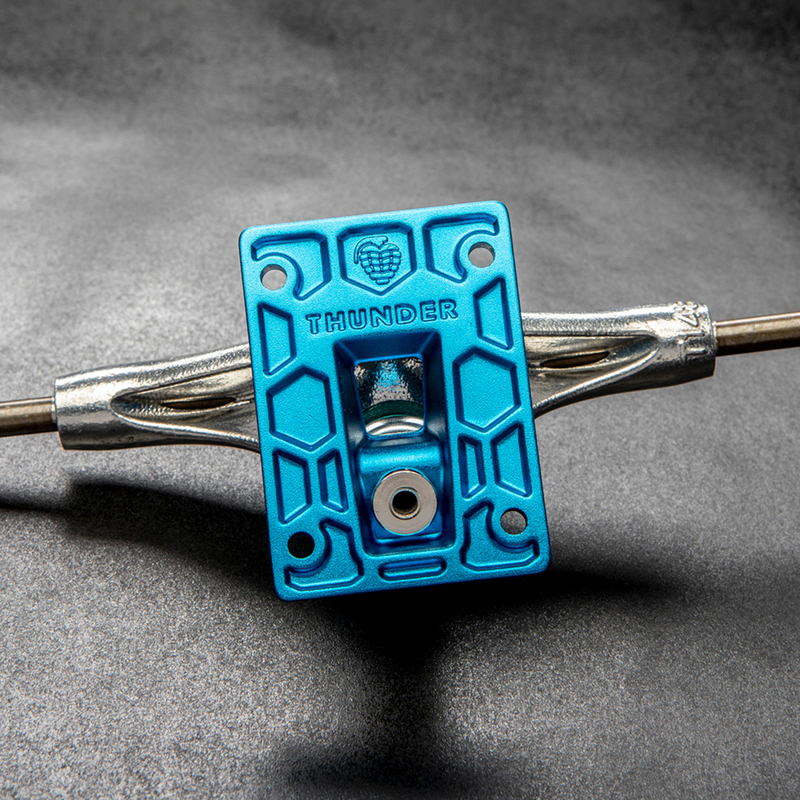 New electric blue forged baseplates, and clear blue 90DU Thunder bushings.